Stir-fry is supposedly one of the easiest things in the world to make. I beg to differ. The problem with stir-fry is that despite the popular belief, there’s not this fool proof, everyone-knows-it way of whipping up some chicken and veggies. That doesn’t make it complicated. In fact, cooking stir-fry still one of the easiest recipes. But if you want to make some amazing, melt-in-your-mouth, leave-your-friends-and-fam-begging-for-more type of stir-fry, then you need this recipe. First thing’s first: you need to choose the right ingredients. 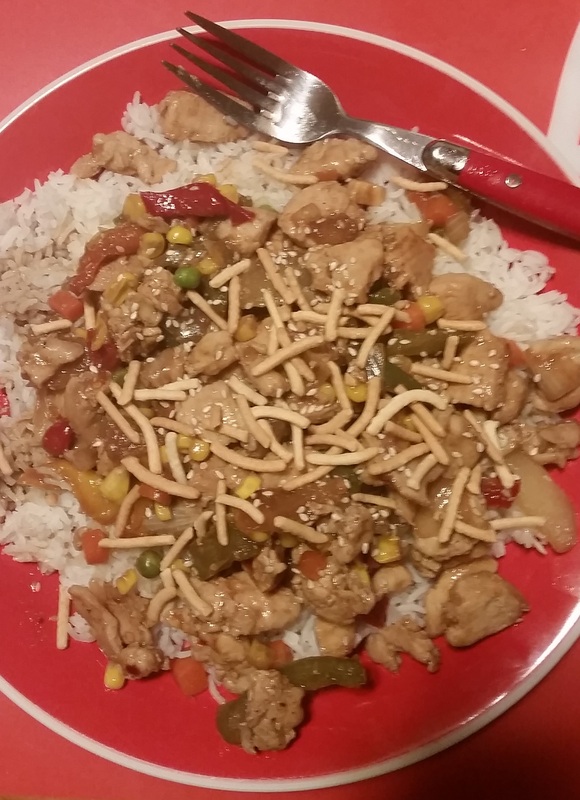 When I think stir-fry, I think oriental sauces, tons of veggies, and tender chicken. **You can always add more of the sauces to taste. That’s what I like to do, so it becomes more of an experiment than a for-sure recipe. Start with this then try as you go. You might find you love one of the tastes and add more! Step #1: Make the rice. This takes the longest, so make sure that you start with this. It can cook while you’re putting together the rest. Step #2: Defrost, trim, and pound the chicken. This is the most overlooked step in cooking. And it’s a shame because pounding/tenderizing the chicken gives it the soft, melt-in-your-mouth type of taste that you’re really looking for. Step #3: In one pan, sauté the chicken in olive oil. In another, sauté the veggies with olive oil. Step #4: Start adding the sauce to the veggies. Step #5: When the chicken is still soft, but not fully cooked, add the veggies so everything is in one pan. Step #6: Stir on high/medium high until chicken is cooked, but still tender. Add additional sauces as needed. Step #7: Serve hot over rice. Add sesame seeds and dry chow mein noodles for garnish. I love the noodles! They give it a crunchy, fun taste!